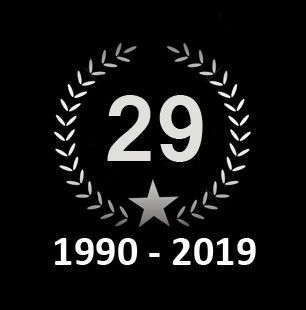 JTS Biker Clothing have been proudly producing a fantastic range of motorcycle leathers and textiles for over 25 years. 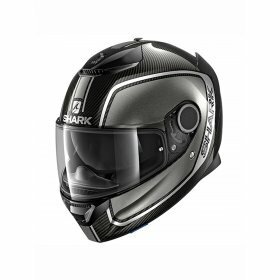 We have one of the most popular motorcycle clothing shops in Leicestershire. We’ve also been a leading internet retailer for well over a decade. Huge choice: Shop over 4,000 items on our website! Our store also carries a huge selection of JTS clothing styles and sizes, plus a range of items from other leading brands. If you plan to visit us for a specific product, please telephone ahead to check availability. We can reserve products if you want to try a few for size or special order items in for you. Flexible and Safe Ordering: Call us on 01530 812121 to place your order or shop on our secure site - we accept most debit and credit cards or PayPal. Fast Delivery and Easy Exchanges: Most orders can be dispatched for a next day delivery if available and requested at checkout. Orders being delivered to qualifying areas of the UK mainland, totalling more than £250 automatically upgrade to FREE next day delivery. Most areas also qualify for our free exchange service, so if you need to swap an item for a different size, you can normally place a new order and request a free courier collection at the same time. NEW HJC RPHA 11 Venom 2 Helmet!! "Great jacket. Excellent quality. Super comfortable. Went 1 size up and fits perfect. JTS staff were a great help over the phone and via email. Highly recommend this jacket and JTS as a company to purchase from." "Thanks for the great feedback comment Shaun we're glad to hear you are happy with the jeans and look forward to dealing with you again in the future :)"
"Yep its a good jacket fits perfect, keeps me warm , well pleased"
"We're pleased that you are happy with our JTS Bella Evo textile jacket! Thank you so much for taking the time to leave such great feedback. We will look forward to dealing with you again in the future. Have a great bank holiday weekend!" "Great service will definitely use your company again"
"I just bought my ladies Harper biker jacket a few weeks ago. 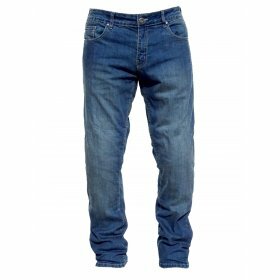 It is a good fit and very comfortable to wear also the customer service was excellent too. I perchased my jacket over the phone, the lady who served me was very helpful indeed. 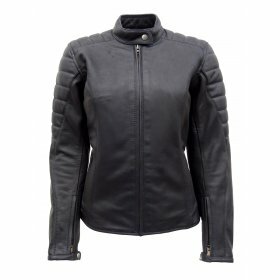 If any of you ladies out there want to or are thinking of buying a leather jacket them I recommend you purchase from JTS Biker Clothing." "Thanks for the brilliant feedback Moria. We're glad that you got the right fit & that you're happy with the jacket. Also, we shall be sure to pass this onto Toni who is the lady that dealt with your order." Having the best motorcycle clothing is just as important as buying the right bike. 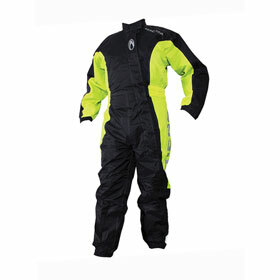 In terms of comfort, safety and weather protection, the latest motorbike clothing now performs better than ever. We have a huge choice, so most needs can be catered for. 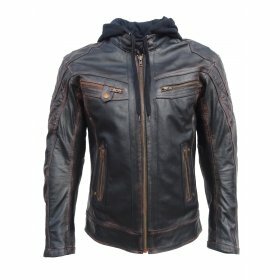 Whatever you ride (scooter, sportsbike, custom or tourer) we have a massive selection of quality motorcycle clothing and one of the largest size ranges in the UK. Need some advice? Most of our sections have a buying guide and you can also ask our friendly team. We’ve been helping riders to get the right motorcycle clothing since 1990. 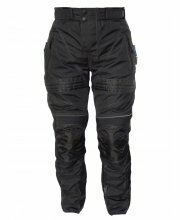 Designed to look casual and feel comfortable, motorcycle jeans are one of the most popular choices for riders of all types of bike. 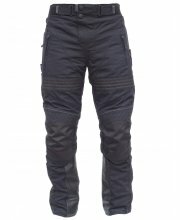 At JTS Biker Clothing we’re renowned for our own brand of high quality motorcycle jeans. Our latest men’s and ladies styles not only offer excellent protection, they’re water resistant too. Featuring knitted Dupont™ Kevlar® panels under the denim, CE approved adjustable knee armour and internal pockets for optional hip armour, JTS motorcycle jeans are hard to beat. What’s more they’re available in a massive size range from 28 to 54 inch waist and extra short to extra long leg length. 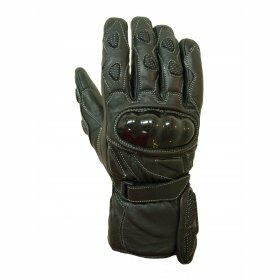 Motorcycle gloves are perhaps the most important part of a biker’s kit after a good quality helmet. 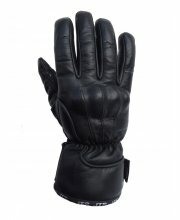 We have a huge choice of motorcycle gloves on our website. We cater for most road bike riders with race gloves, touring gloves and vented summer gloves. 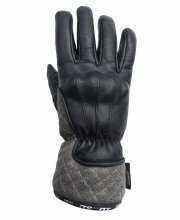 To keep you warm and dry in winter we offer several styles of thermal, waterproof gloves too. If it’s the ultimate weather protection of Gore-Tex that you’re looking for then we have you covered here as well. For the very best value, check out our own brand of JTS motorcycle gloves, including men’s and ladies styles. 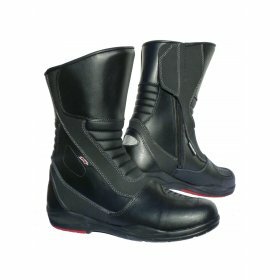 Our other brands include Furygan, Richa, Alpinestars and Held. Motorcycle jackets fall into two main categories: leather and textile. 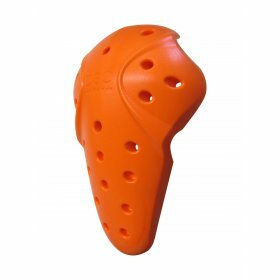 Both are abrasion resistant and help to protect against impact. Our own brand of JTS textile motorcycle jackets and leather motorcycle jackets come highly rated by our customers, who’ve put many of our designs through their paces over the years! Check out some of the great features our motorcycle jackets have, such as detachable thermal liners, air vents and adjustability at the waist and arms. Sizes range from small to 12XL. If you need suitability or sizing advice, we’d be only too happy help, so check out our motorcycle jackets now!